Scientists have been holding their breath for the last few years waiting for the next epidemic to strike. It will come, they say, it’s just a question of when. Almost on cue, a new SARS-like virus has appeared in Saudi Arabia. The country has confirmed that 28 people are now known to be infected with the coronavirus. But is this virus intent on causing another health crisis and potential epidemic? There are more than 40 cases of coronavirus confirmed since September 2012, which has affected people in Saudi Arabia, Europe, and Jordan. There are 20 confirmed deaths so far. The World Health Organization (WHO) has gotten involved to find out how the virus spreads and what might happen next. Any virus that can be transmitted easily from person to person could potentially wreak havoc on the world’s population if allowed to spread unchecked. This was exactly the case in the early 1900s when the Spanish flu broke out. This virus travelled rapidly amongst its victims and killed more people worldwide than the number of people lost due to fighting in World War I. More than 20 million people died from the disease. Most were young, healthy adults between the ages of 20 and 40. Countries fighting in the First World War minimized the number of deaths caused by the virus in order to keep the knowledge from their enemies. Spain, however, was allowed to publish details about the terrible toll the virus was taking on its peoples and hence the virus became known as the Spanish Flu. The Spanish Flu serves as a powerful reminder of the destruction a single virus can cause. 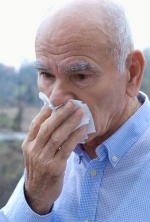 The flu was a strain of H1N1 which recently appeared again in 2002 and 2003. SARS, as that virus came to be known, caused 775 deaths but greatly alarmed medical experts who feared another pandemic like the Spanish Flu. The WHO has determined that the coronavirus can be transferred between people, but only after prolonged close contact, with transmission mostly occurring through the respiratory tract. Measures have been taken to keep patients in isolation while they’re being cared for. France has also confirmed two cases of coronavirus. According to officials, the virus is most closely related to a bat virus and may have originally infected bats or another species of animal such as goats or camels. For this reason, people are being advised to stay away from these animals. Authorities in both France and Saudi Arabia are urging people to frequently wash their hands. Unlike the Spanish Flu epidemic or SARS, medical officials feel that the risk of the coronavirus spreading is low. Cases of transmission have happened between patients in close contact inside a hospital (as was the case in France) and as a result of sharing a house together. The coronavirus does not appear to be able to transmit from human to human in the general population while out “on the street.” The virus can only survive outside the body for 24 hours. Although it hasn’t spread to North America, taking precautions never hurts. Make sure to wash your hands frequently and have proper grooming, especially if you’ll be in close contact with a health professional. “Saudi Arabia expands labs to track deadly coronavirus,” CBC news web site, April 29, 2013; http://www.cbc.ca/news/health/story/2013/05/16/coronavirus-saudi.html, last accessed May 15, 2013. “Coronavirus Infections: Global Response and Alert,” WHO web site, May 8, 2013; http://www.who.int/csr/disease/coronavirus_infections/en/, last accessed May 14, 2013.